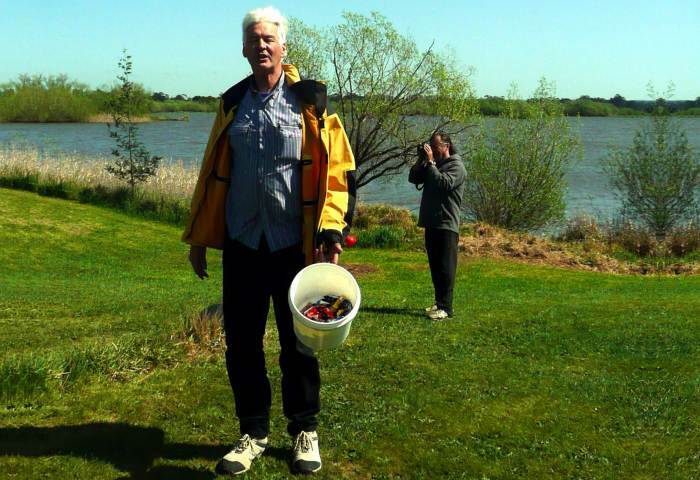 On the morning of Saturday 2nd October, we were greeted with overcast to sunny weather, and the strong east wind made the coat a desirable piece of clothing. 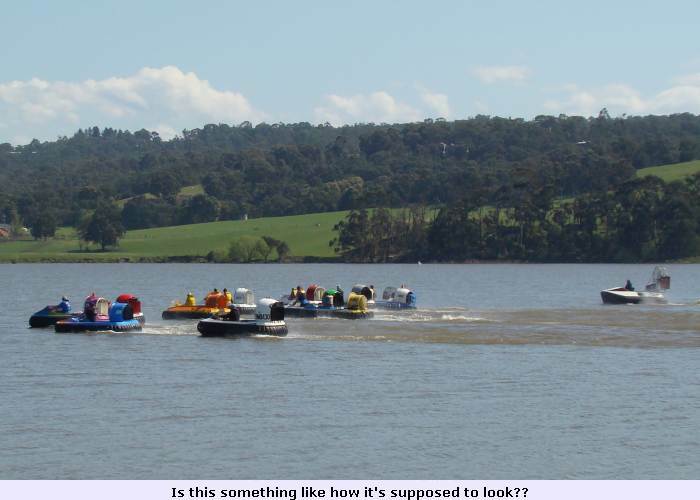 Although there were no white caps on the water, they were not far away. 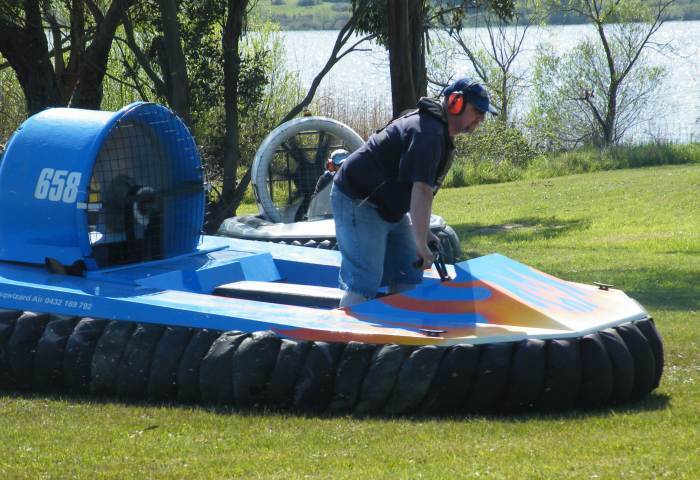 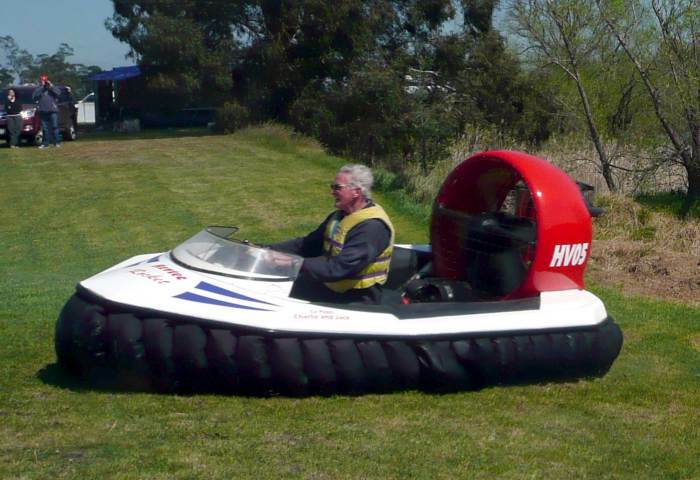 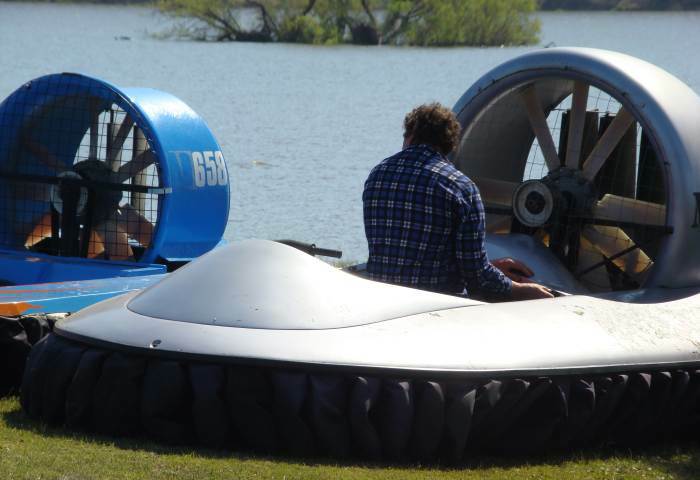 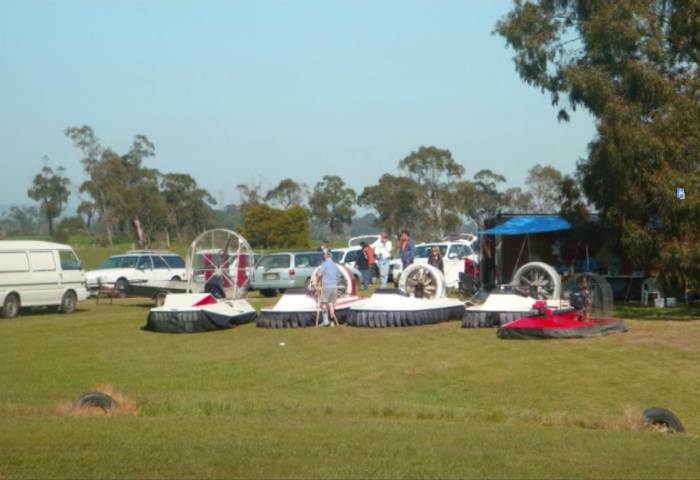 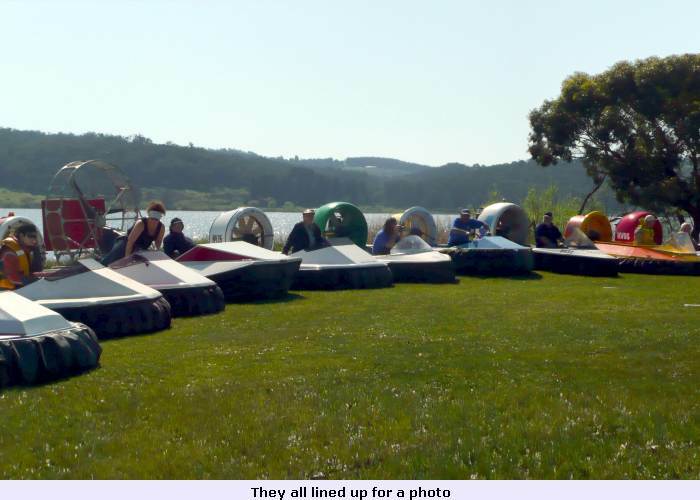 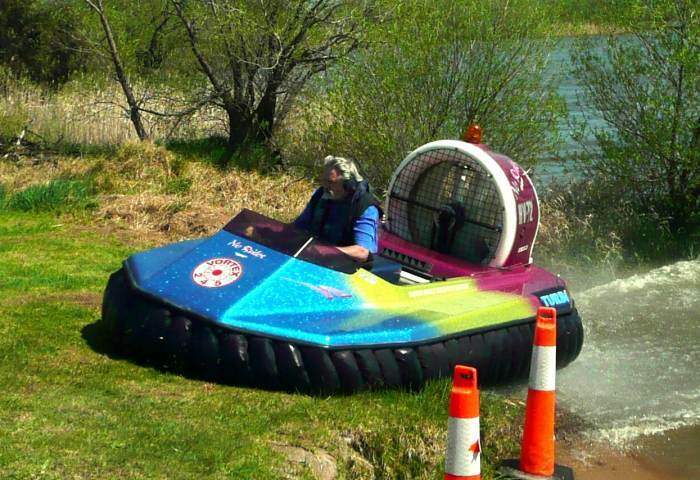 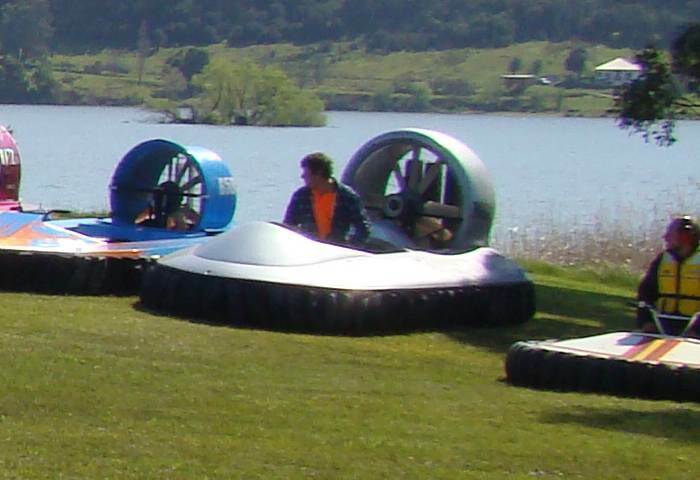 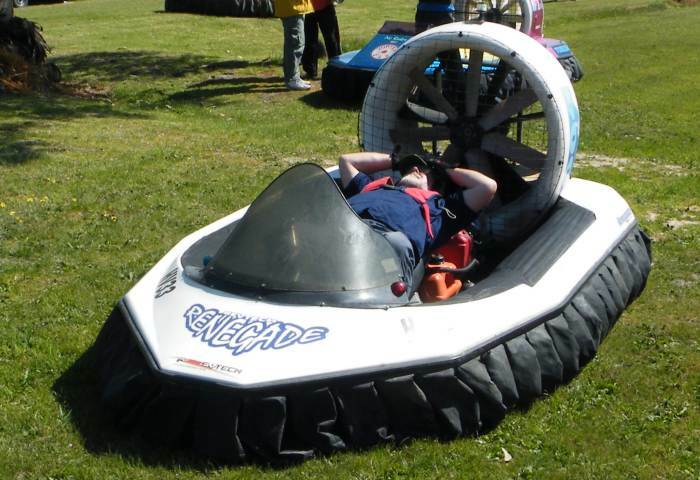 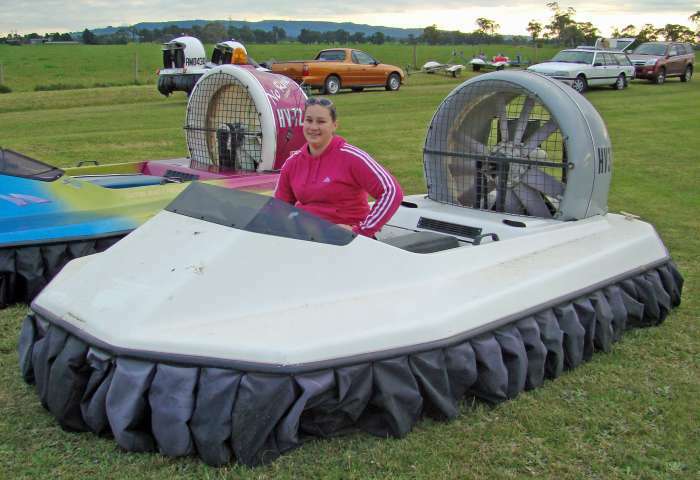 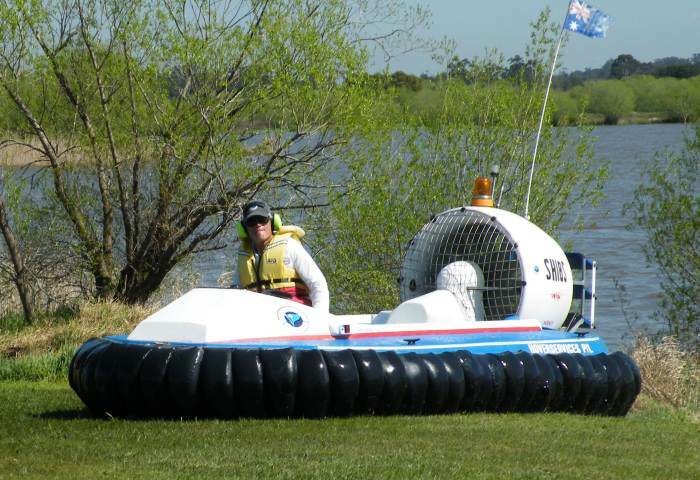 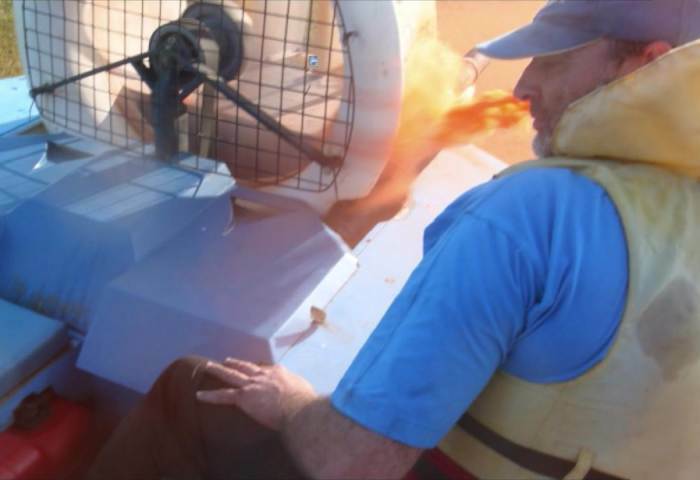 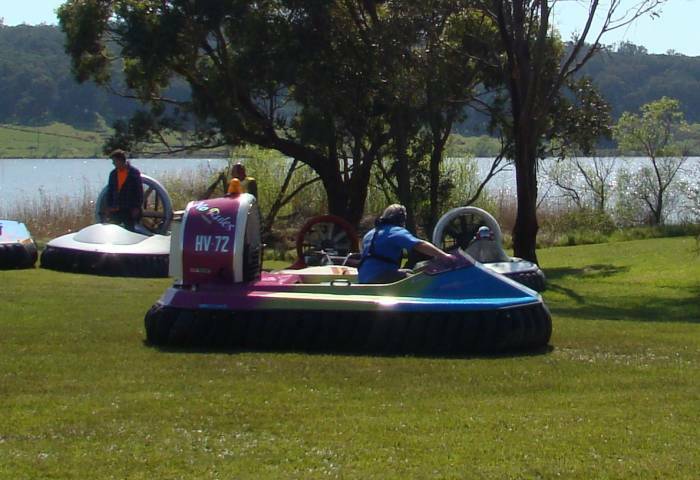 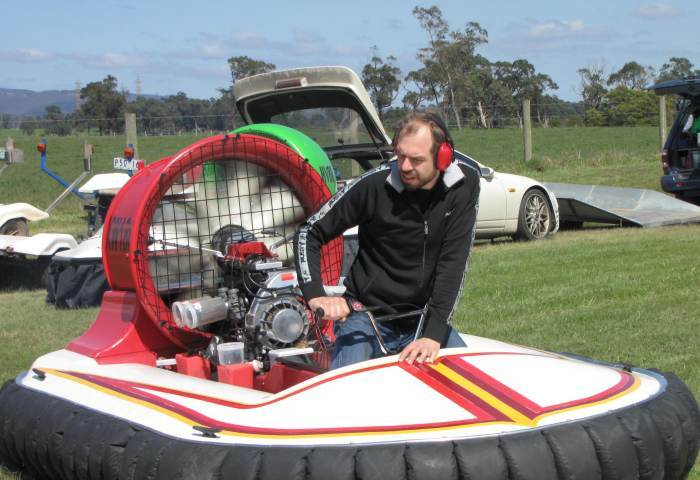 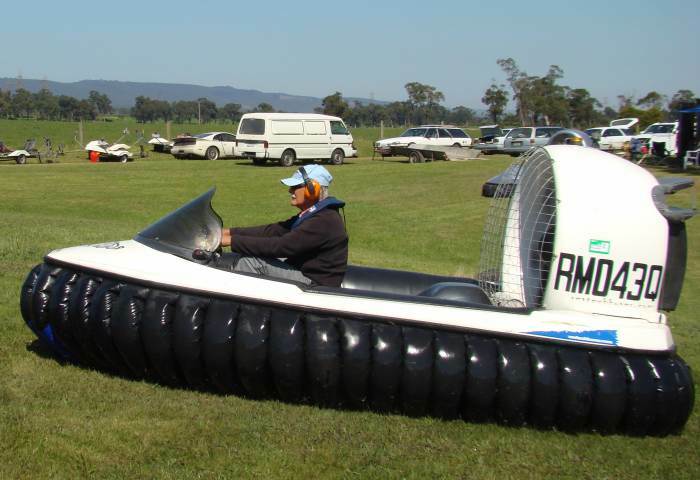 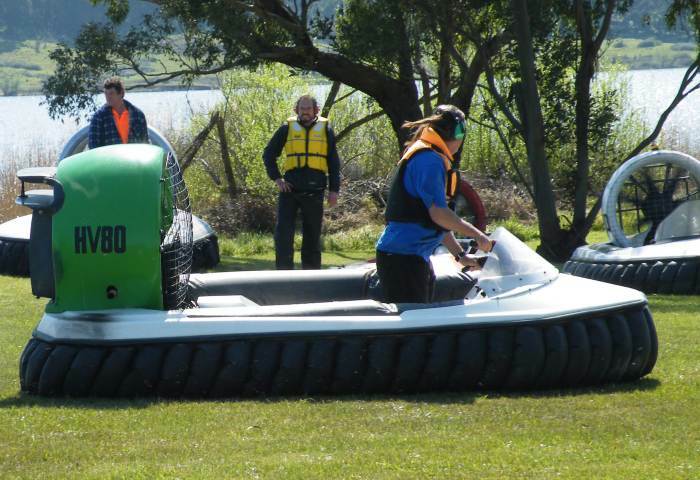 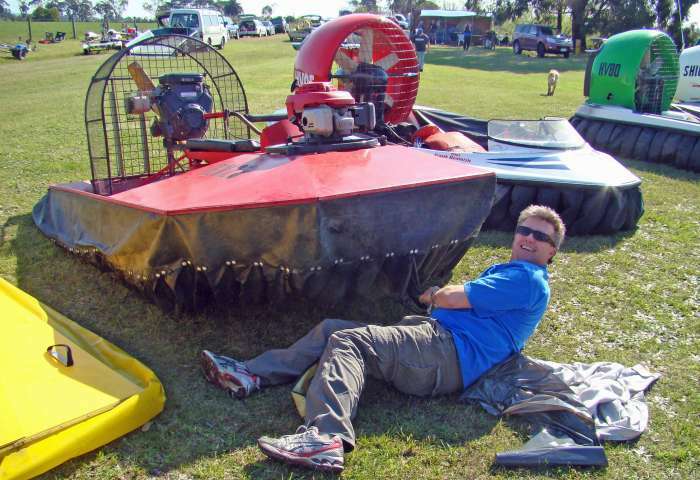 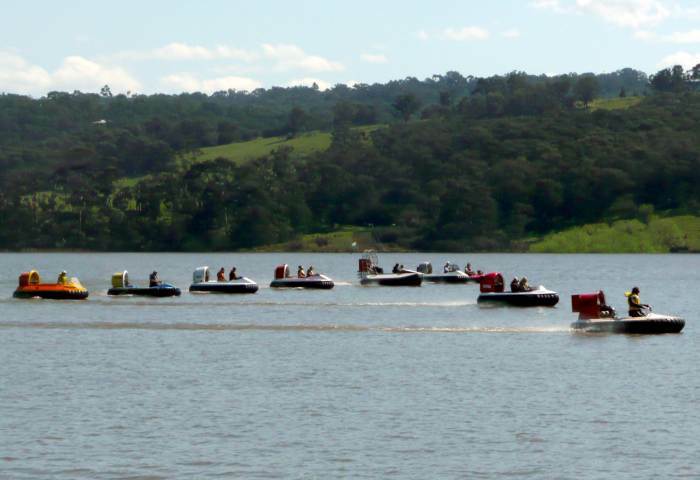 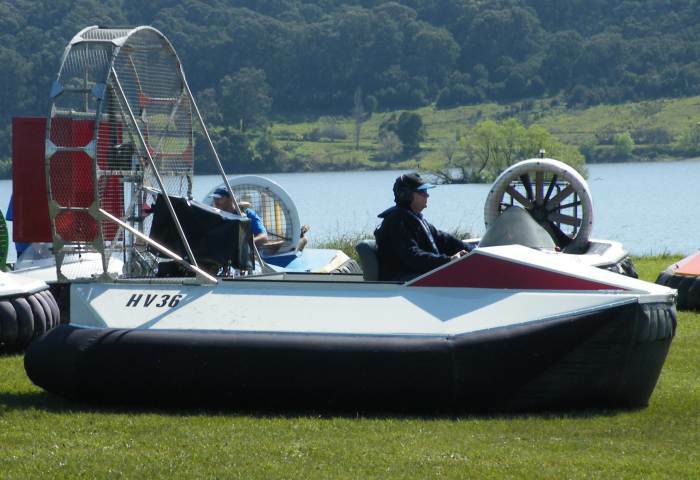 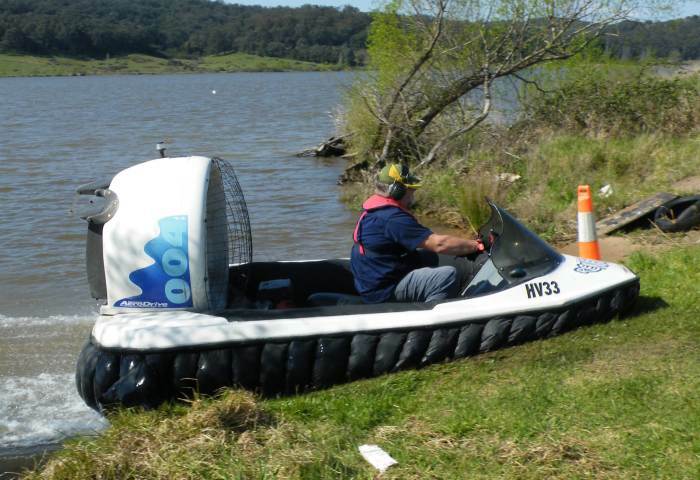 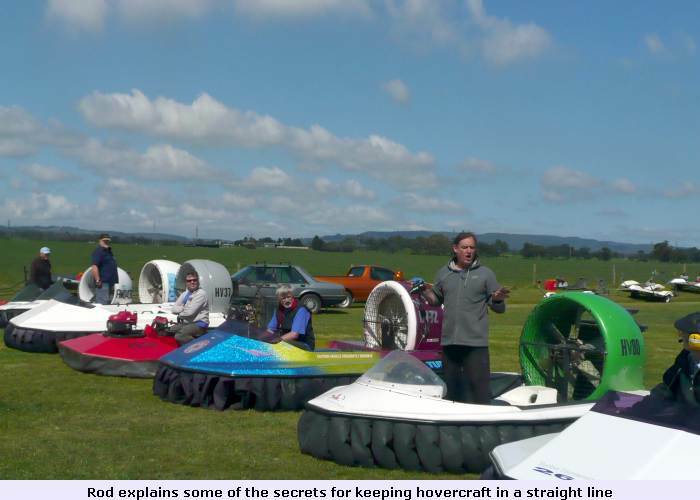 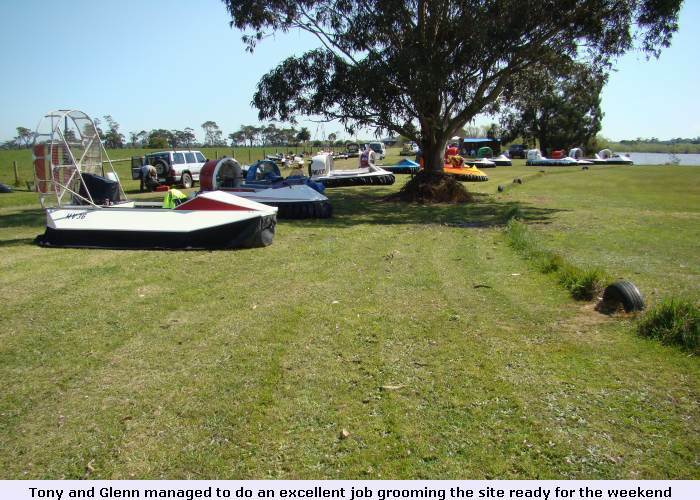 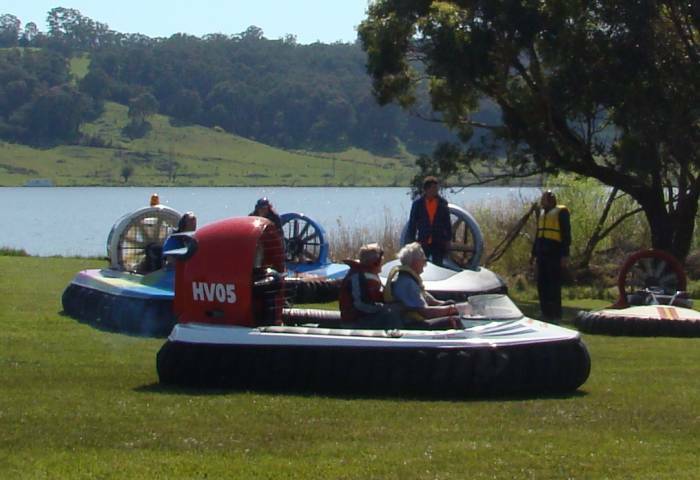 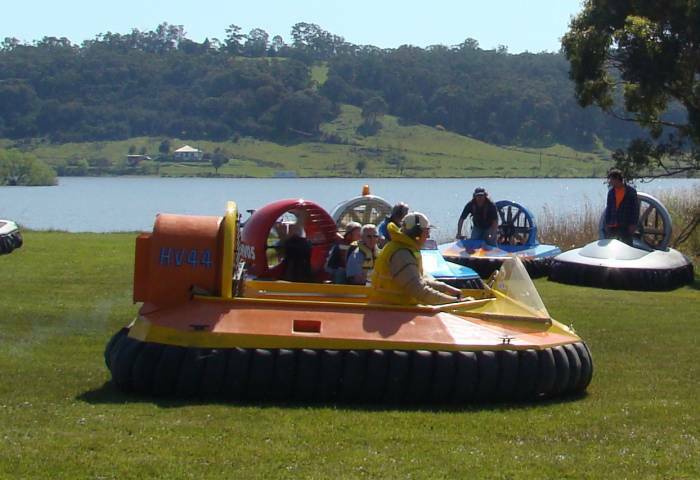 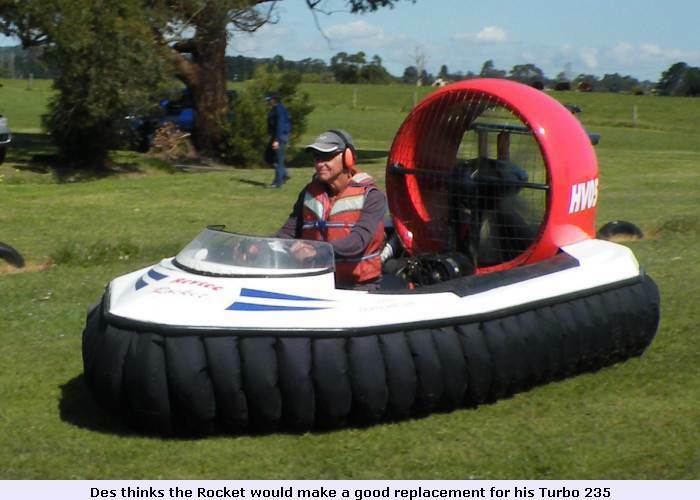 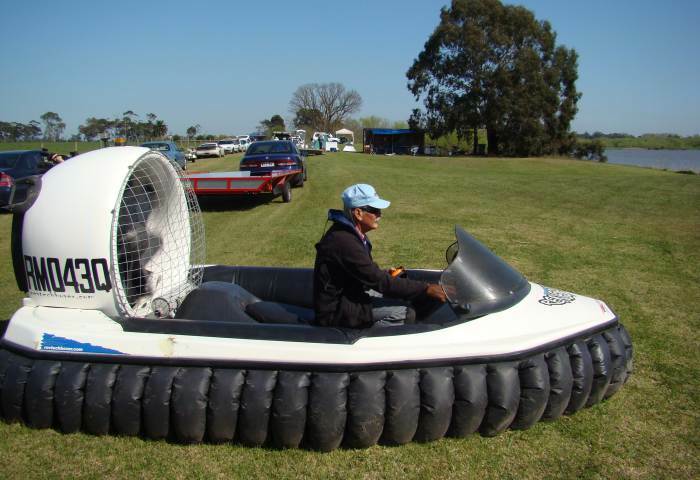 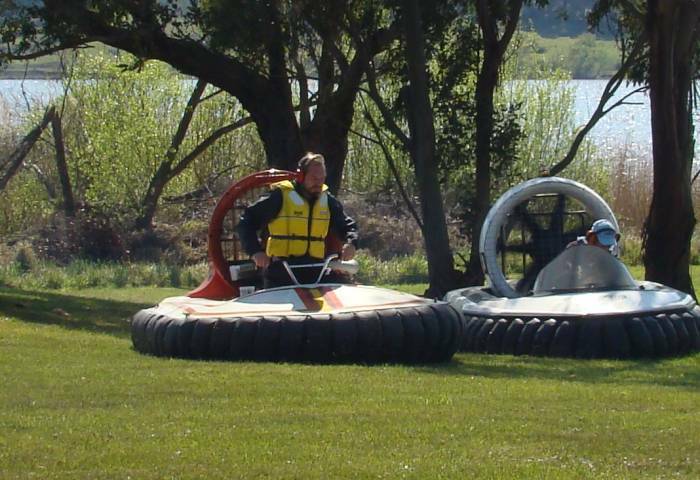 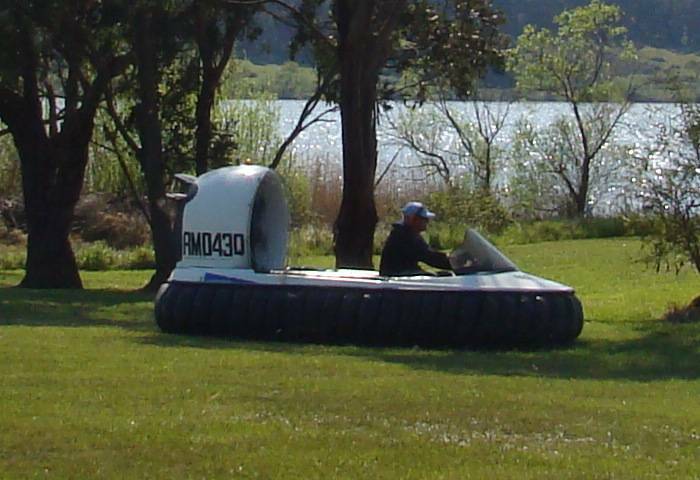 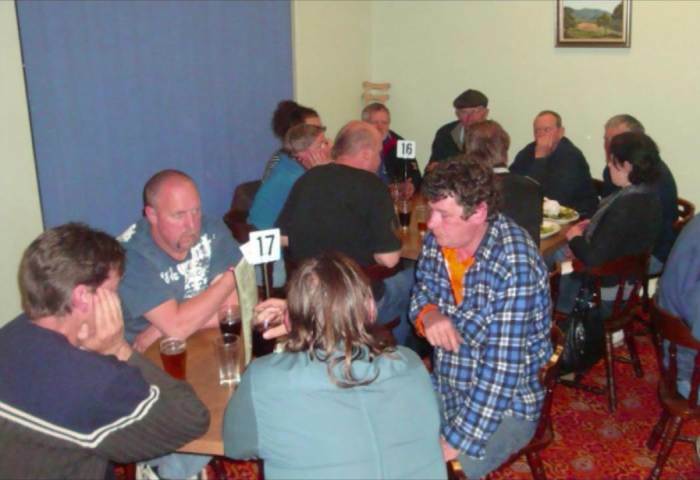 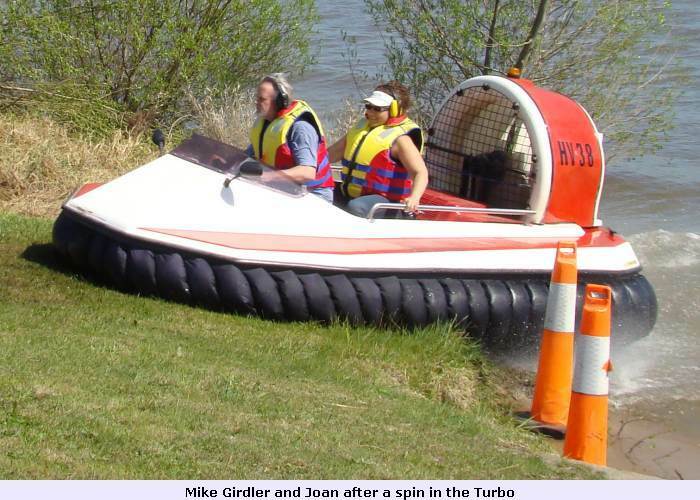 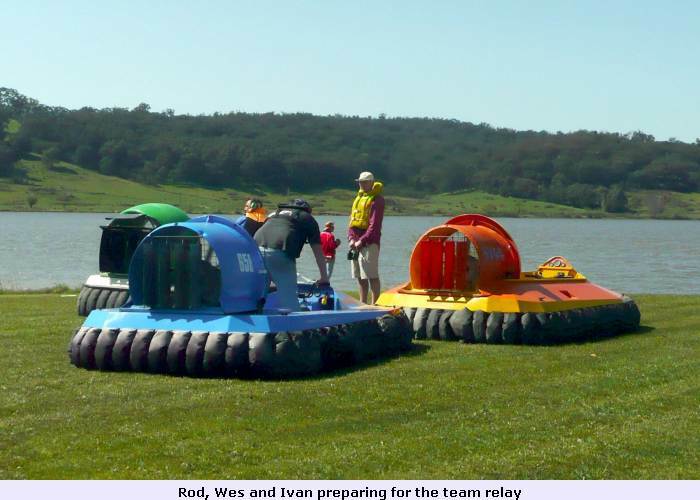 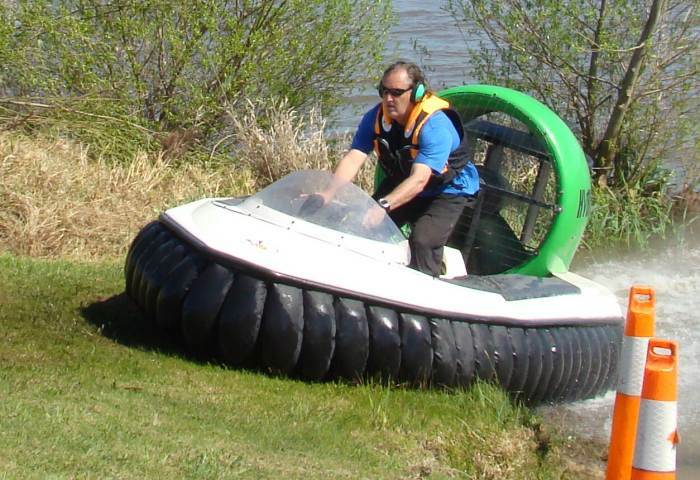 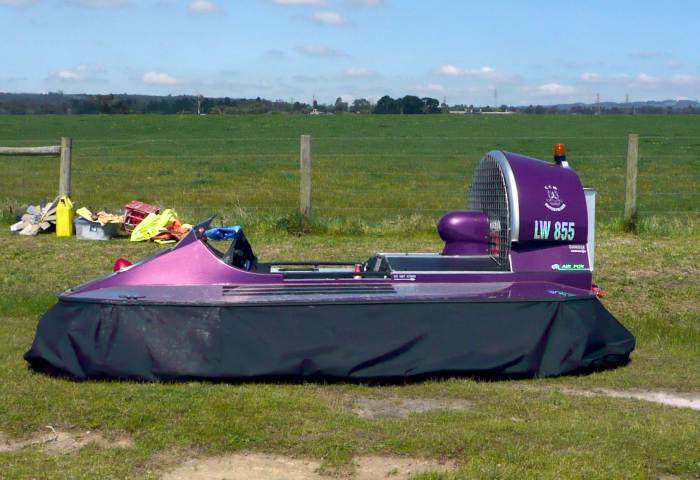 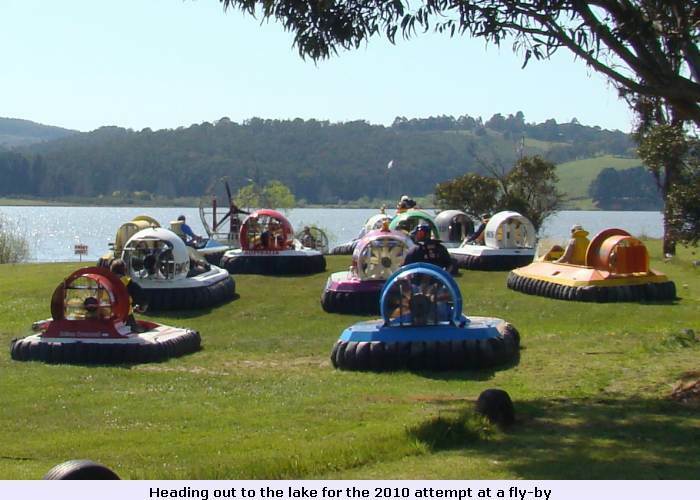 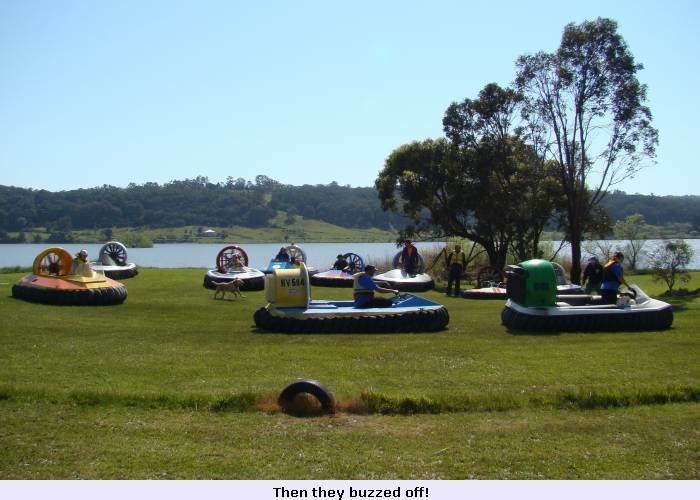 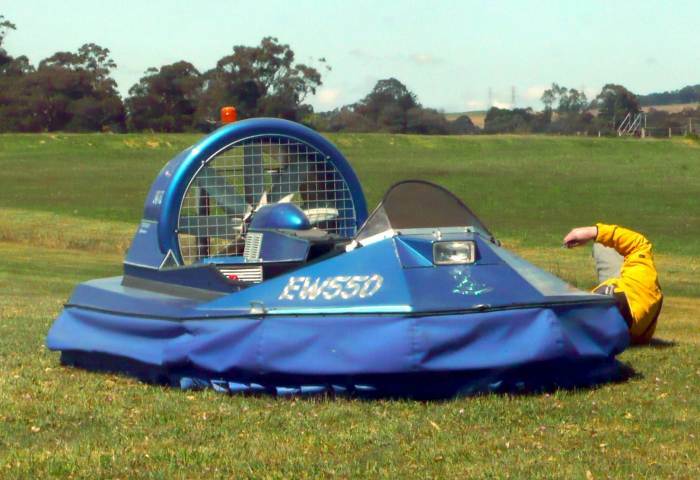 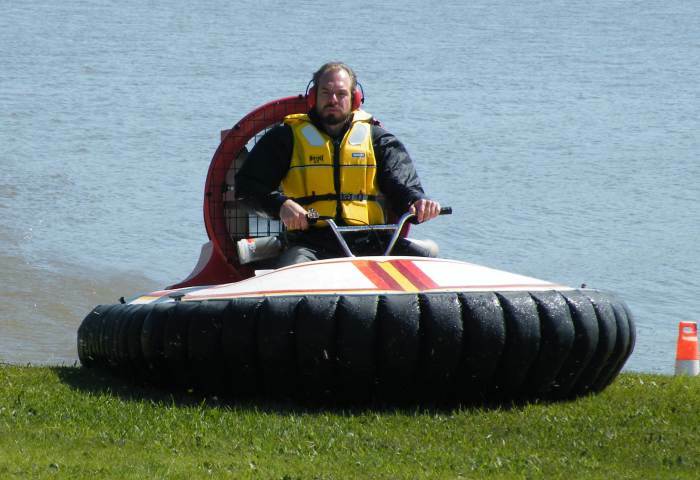 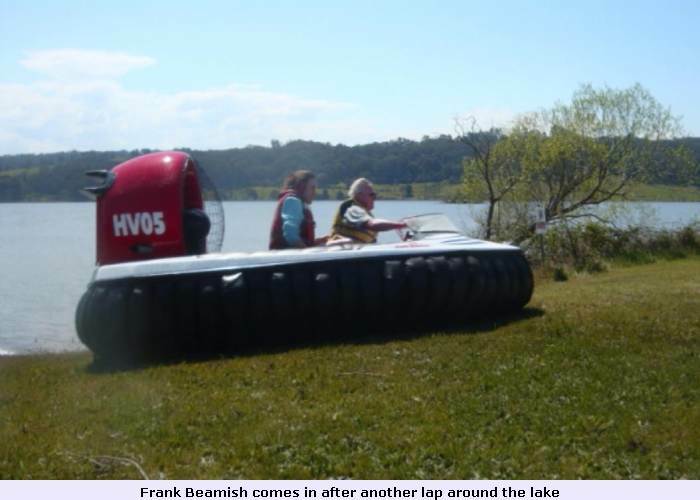 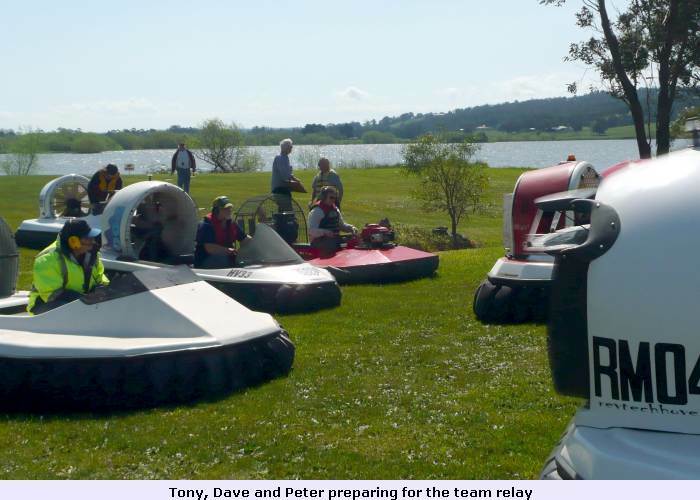 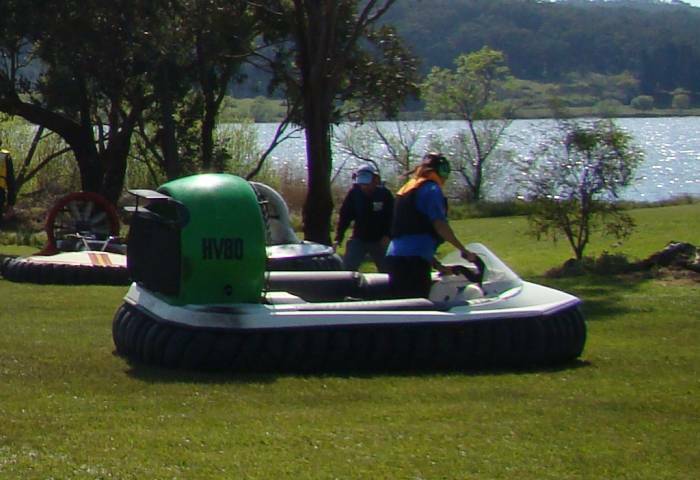 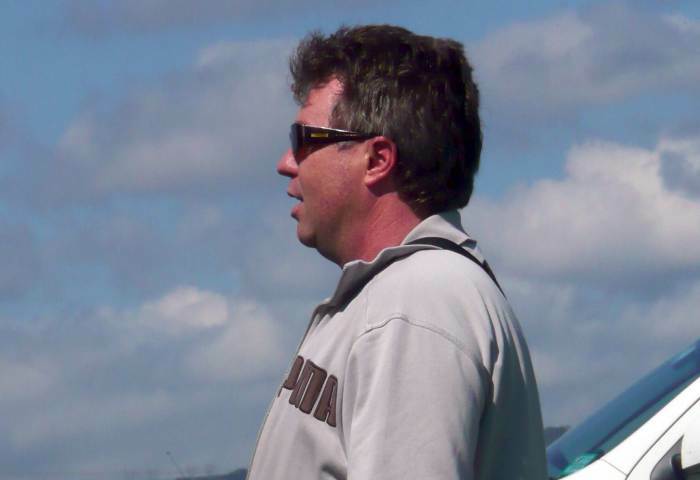 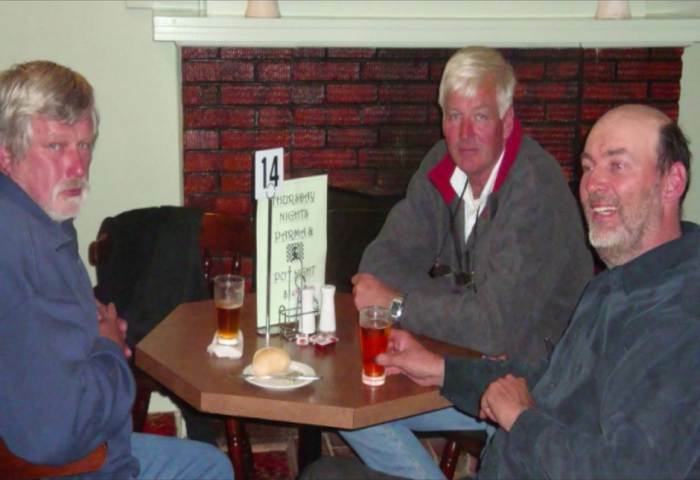 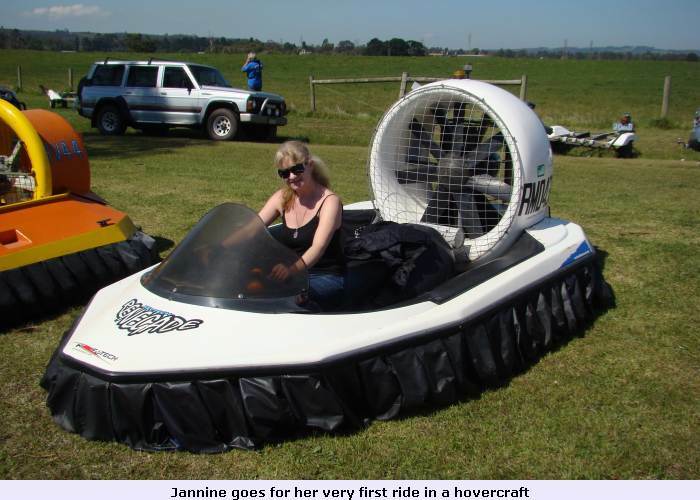 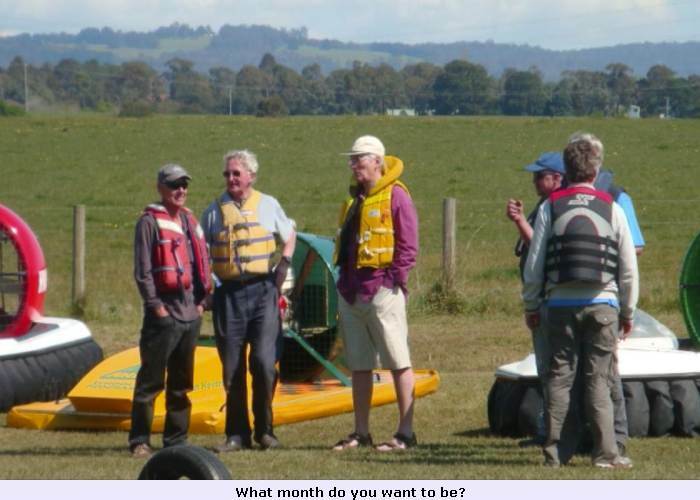 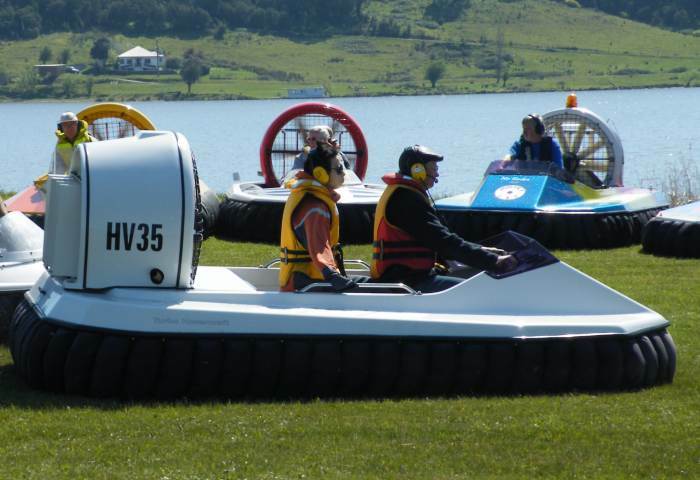 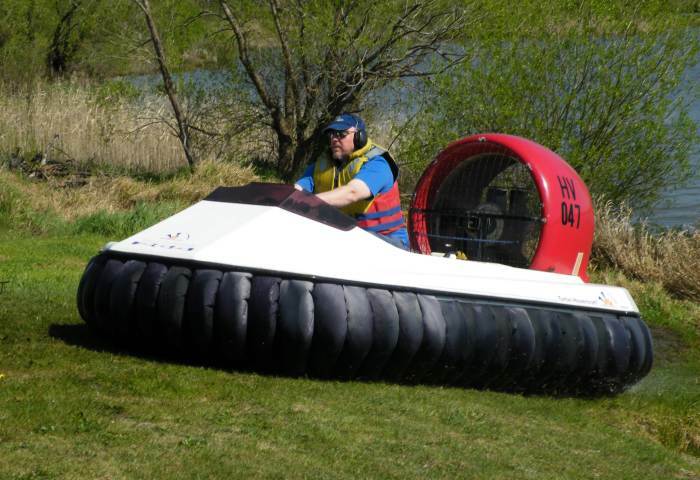 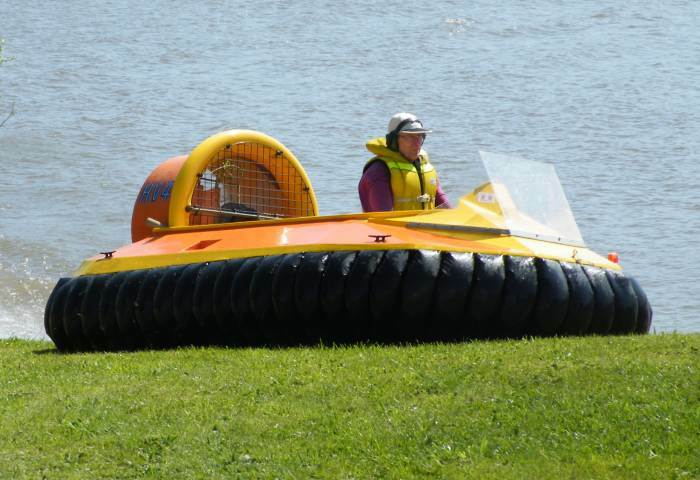 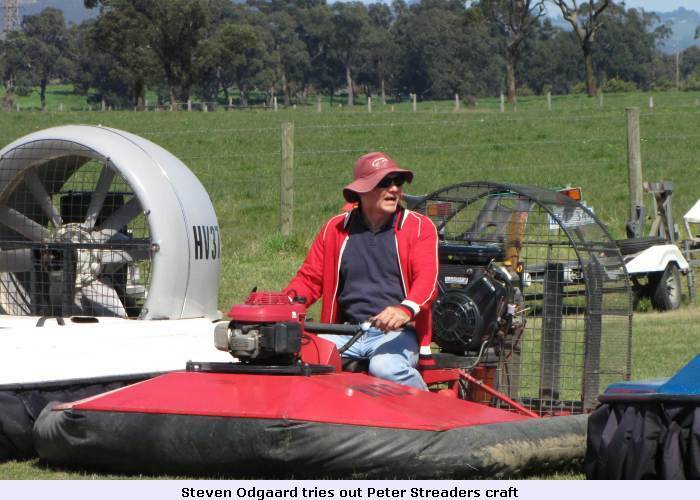 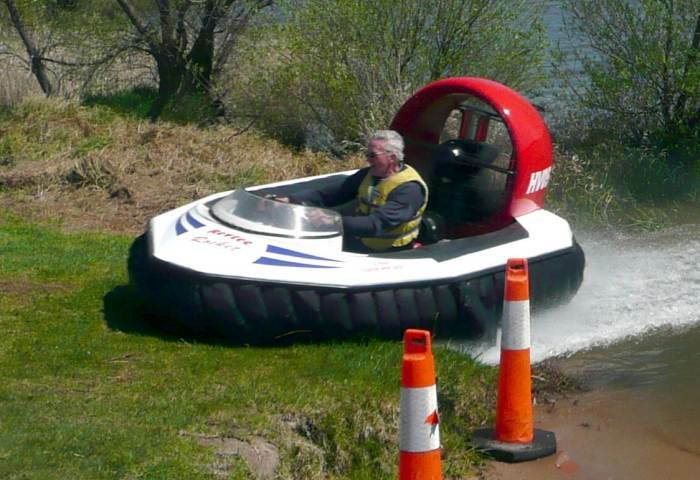 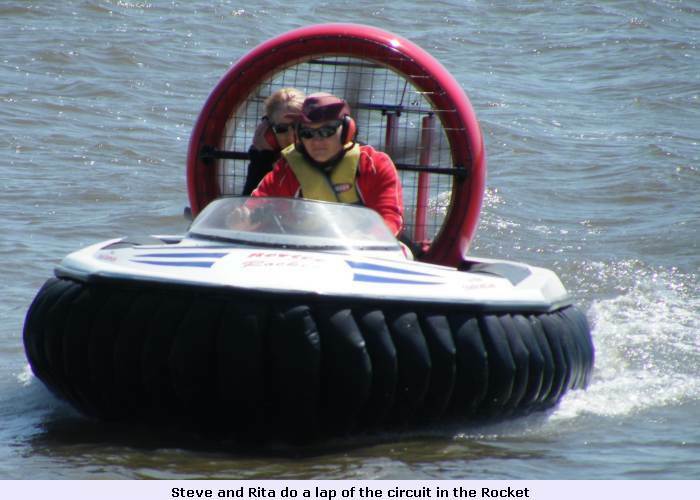 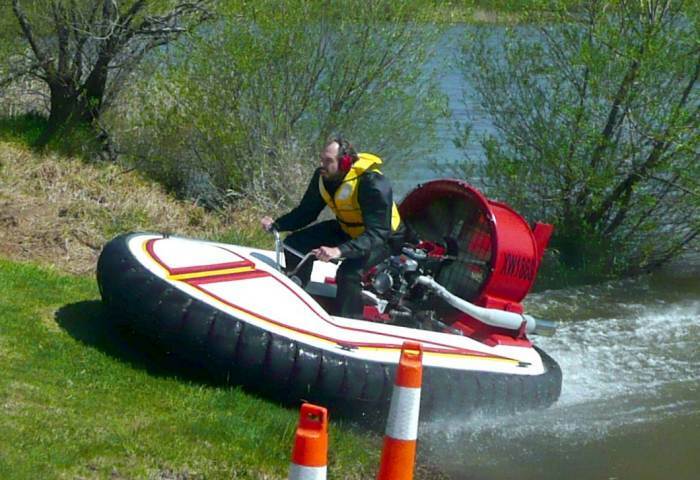 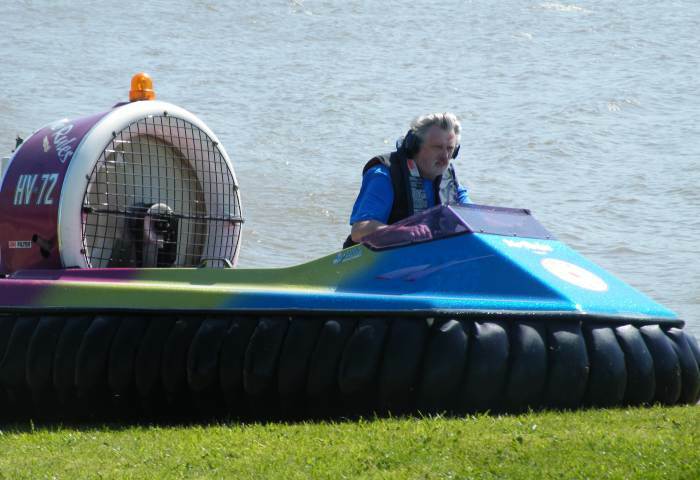 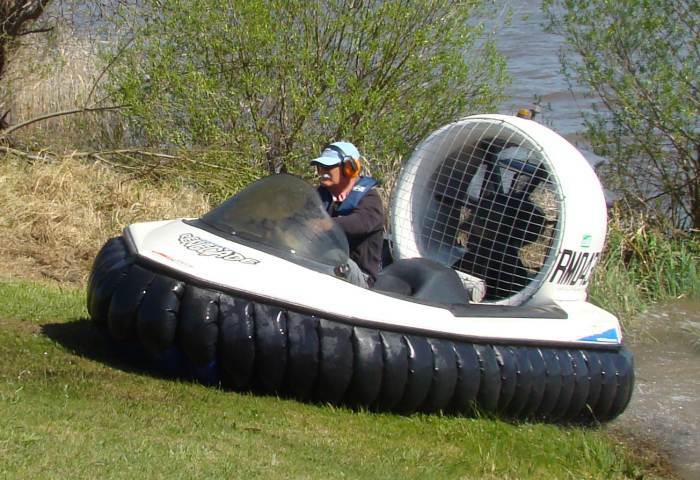 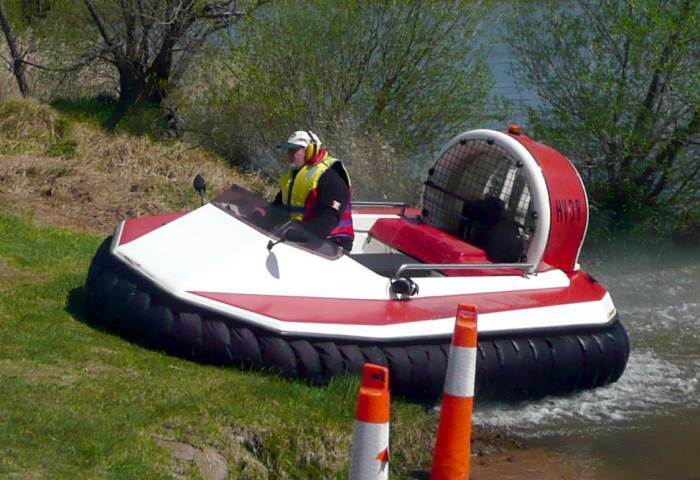 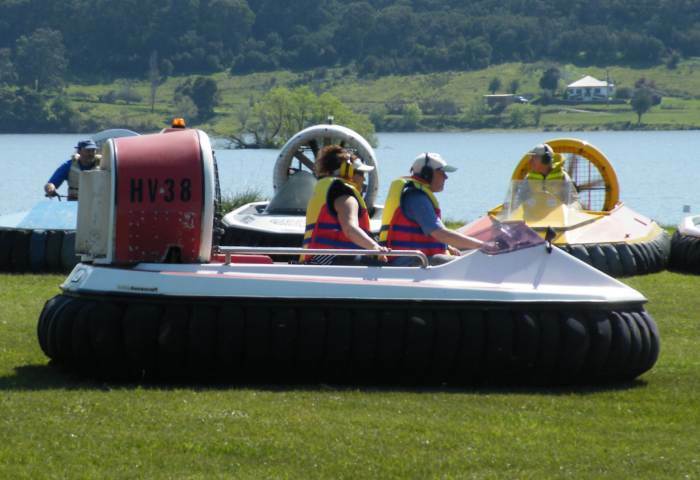 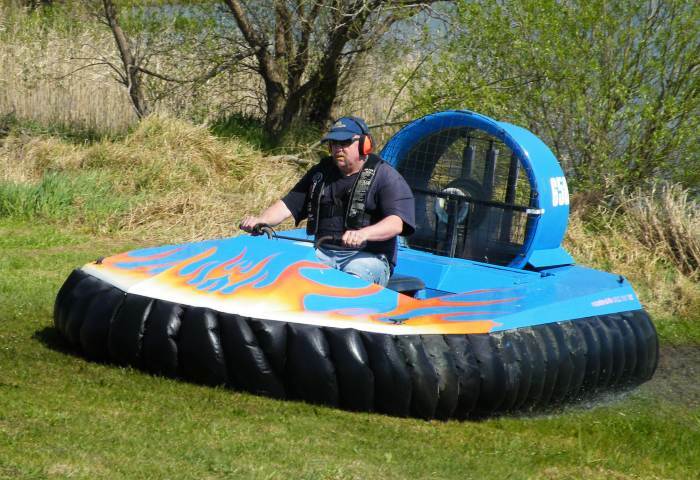 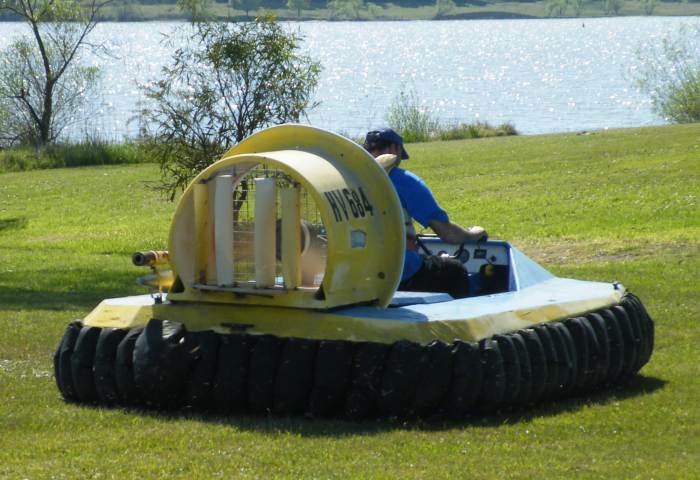 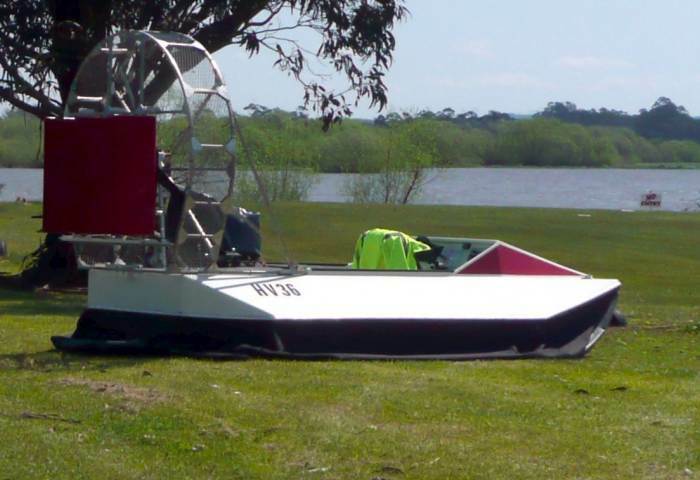 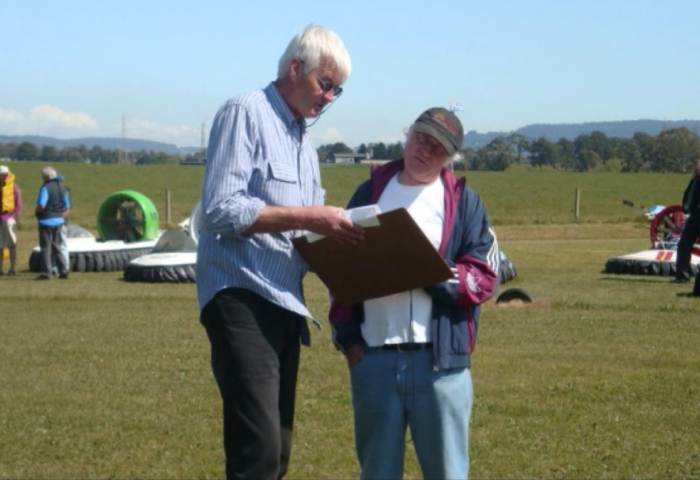 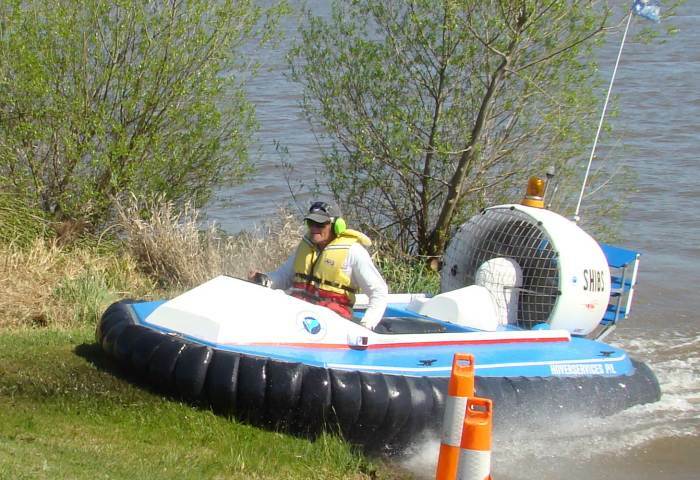 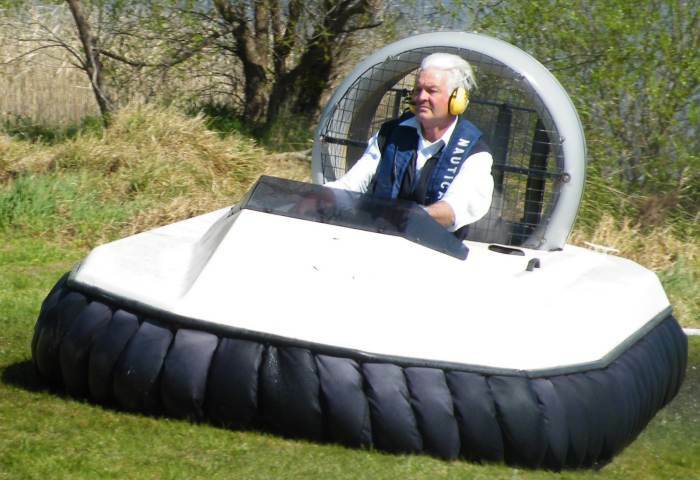 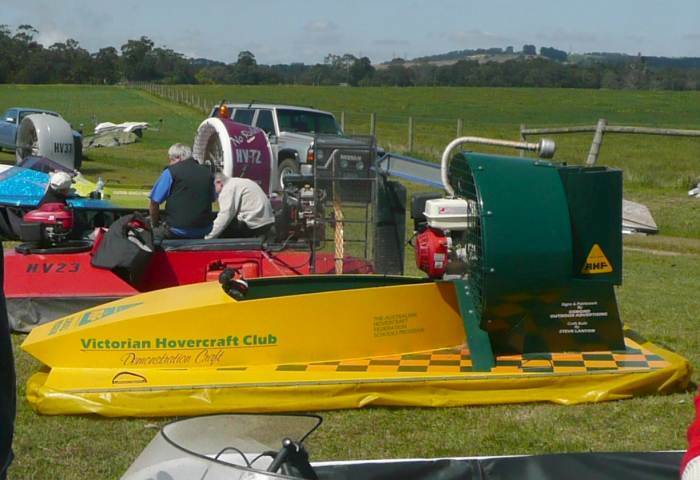 Those in attendance were bribed to the leeward side of the container (Routers Towers) with a chocolate sweet where they were introduced to the President of the Australian Hovercraft Federation Inc. and The Hovercraft Club of Victoria, Peter Streader. 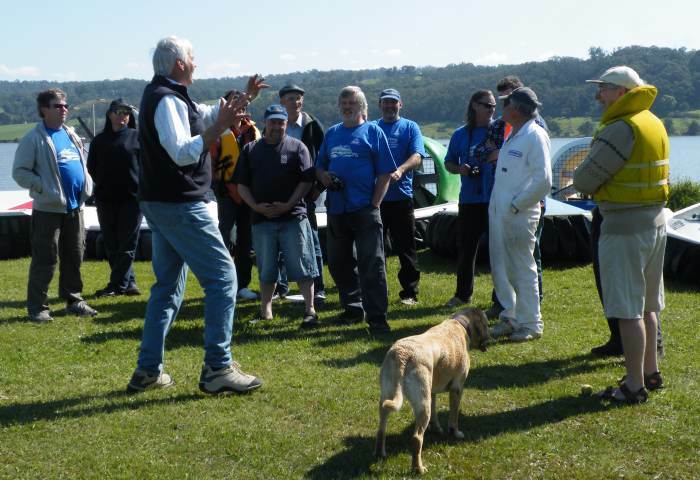 After a brief and warm welcome Peter handed over to Tony Moretti who gave a run down on the Lake and its usage. 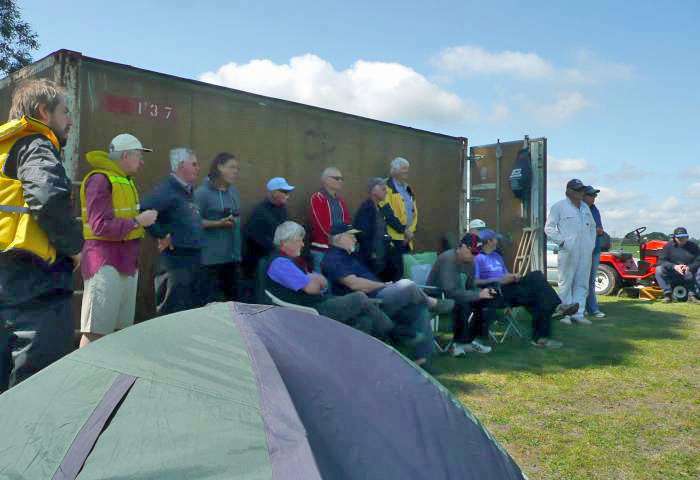 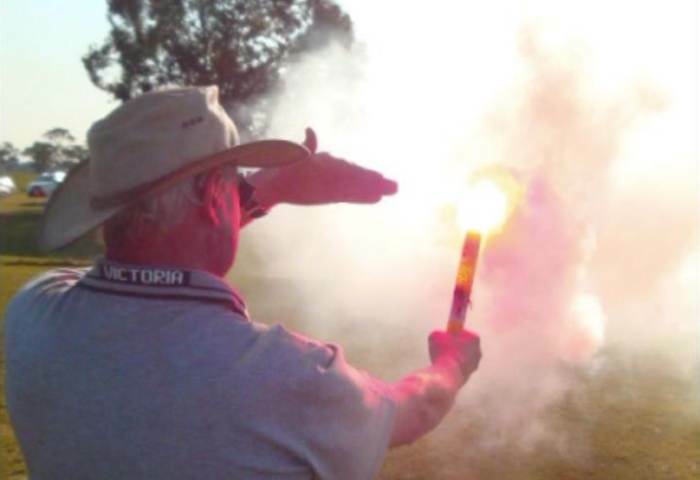 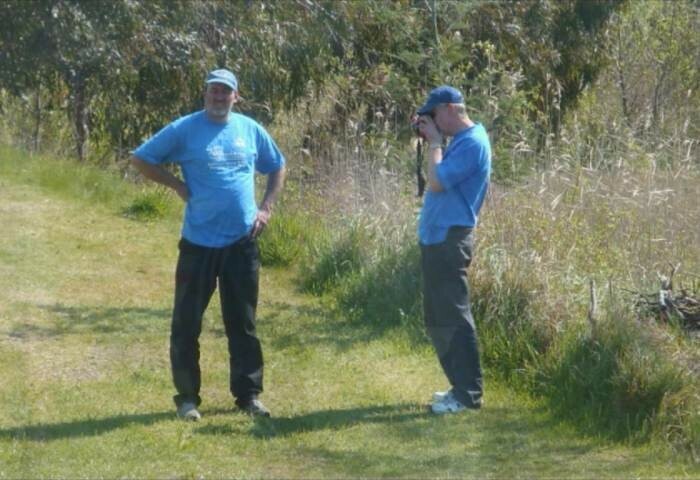 The management of the event was then handed to Col Dainty, and he promptly informed the participants that during the events, each participant would be evaluated on a wide ranging scale of assessment, being first over the line did not necessary mean victory. 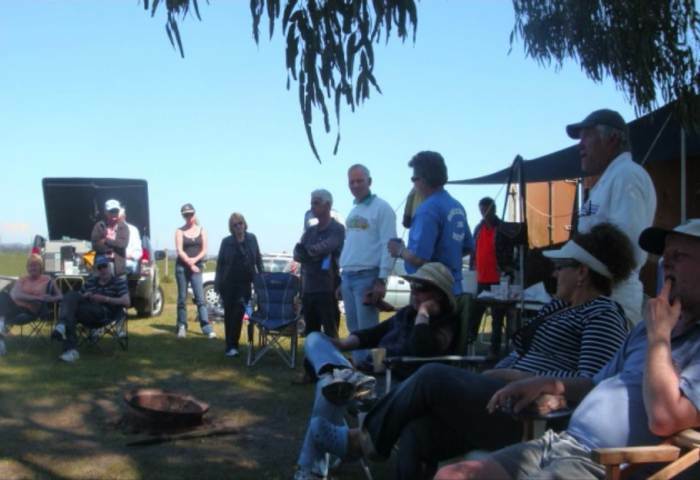 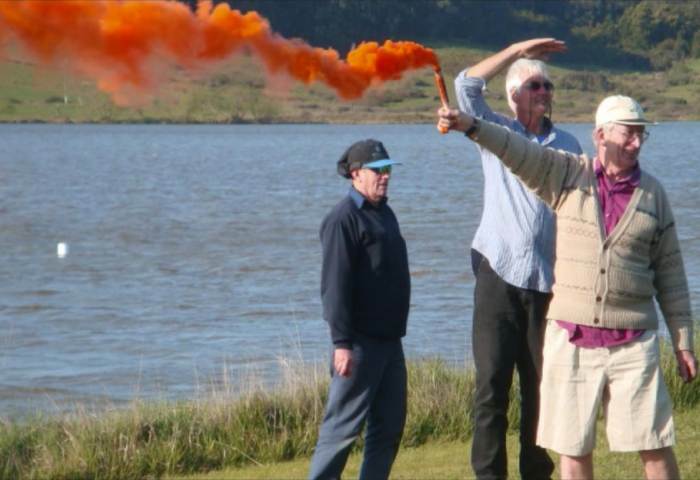 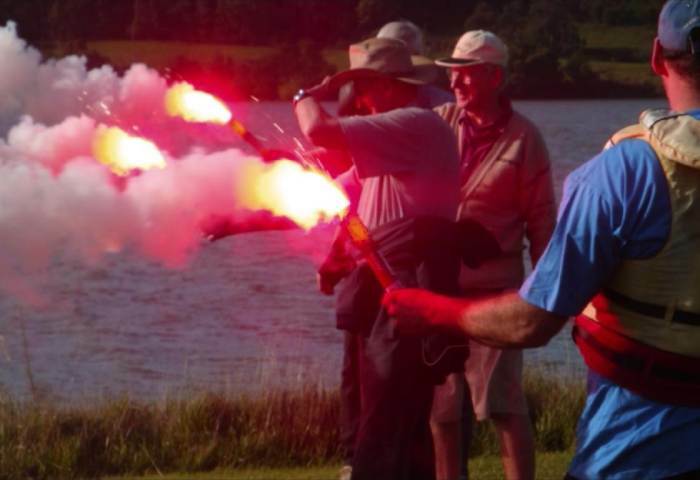 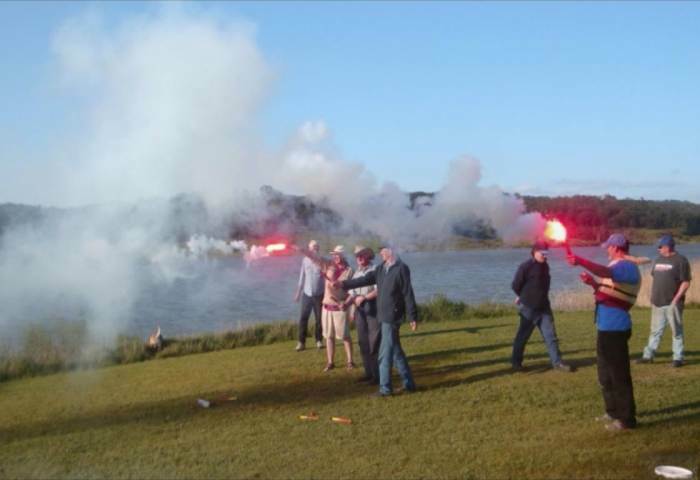 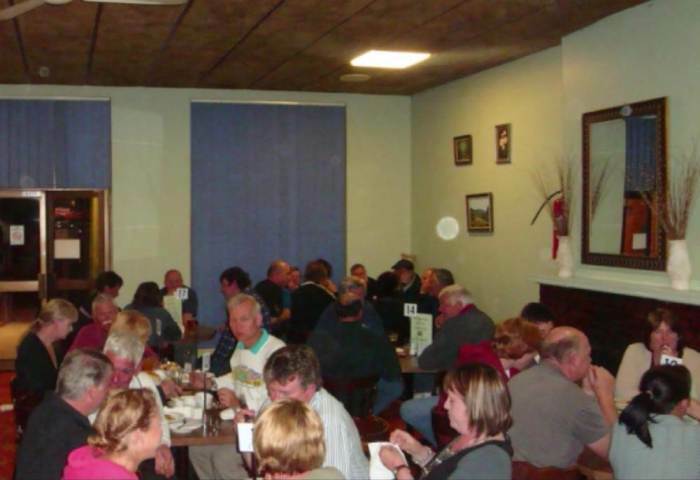 All in all it was a great weekend, and the club with its supporters were able to showcase the fantastic Lake Narracan and all it has to offer. 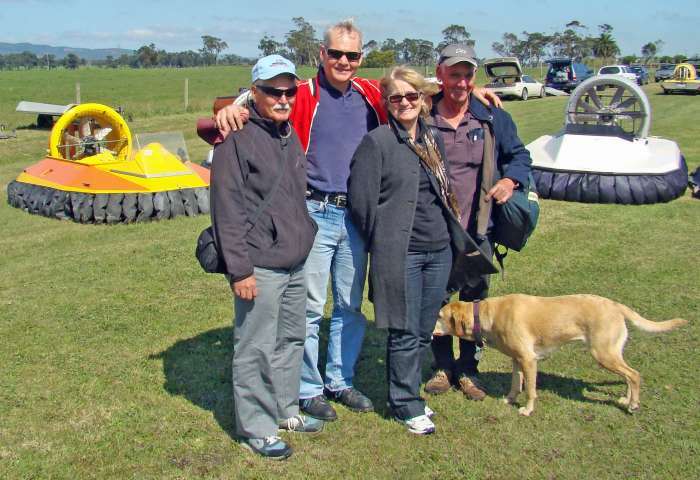 On behalf of the Rally Planning Committee, Col Dainty, Rachel Smithson and Frank Beamish, Thanks for coming! 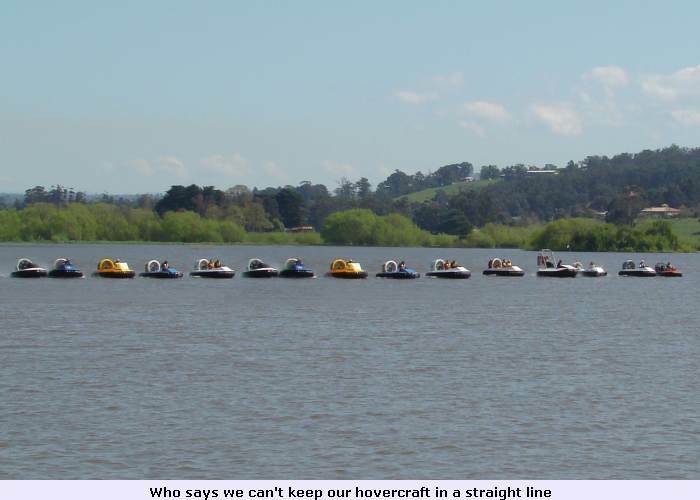 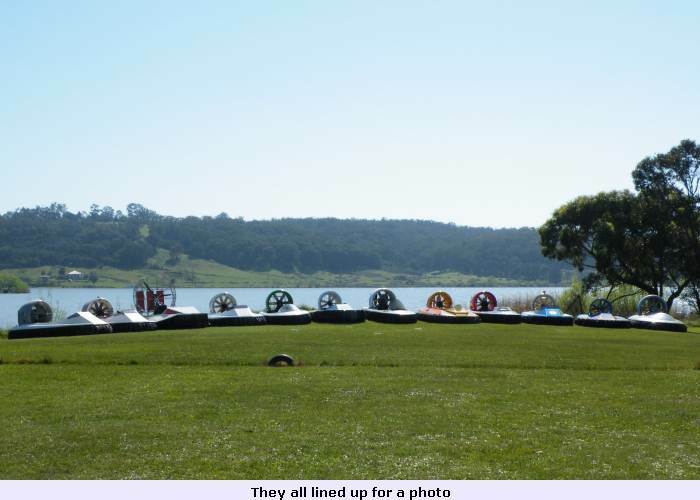 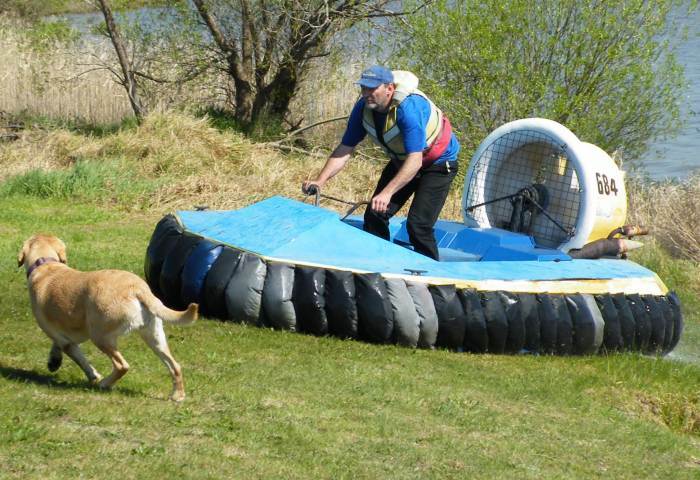 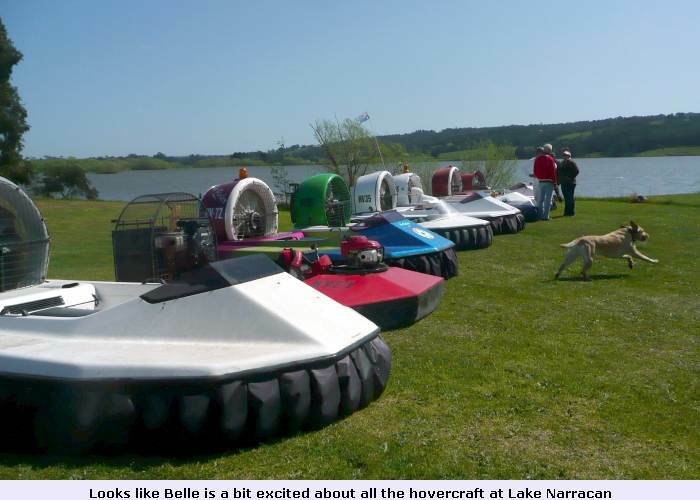 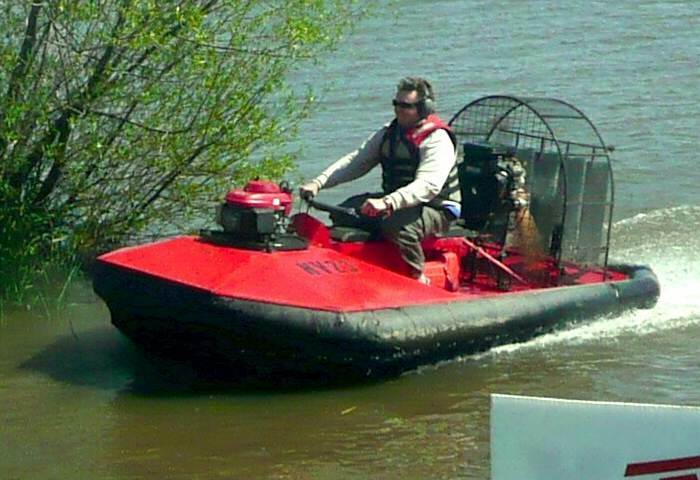 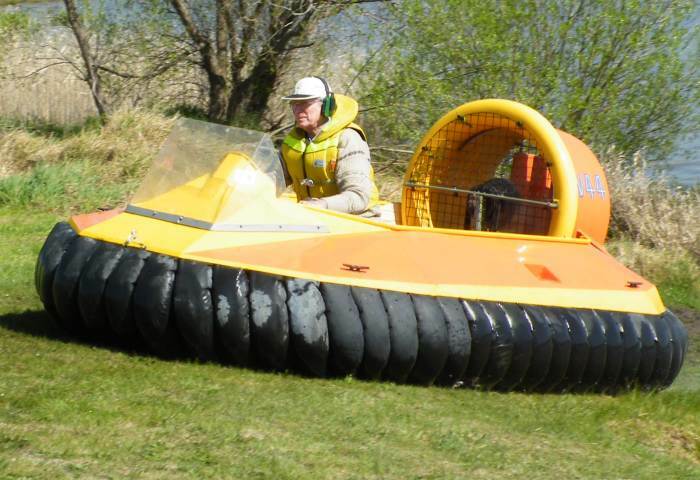 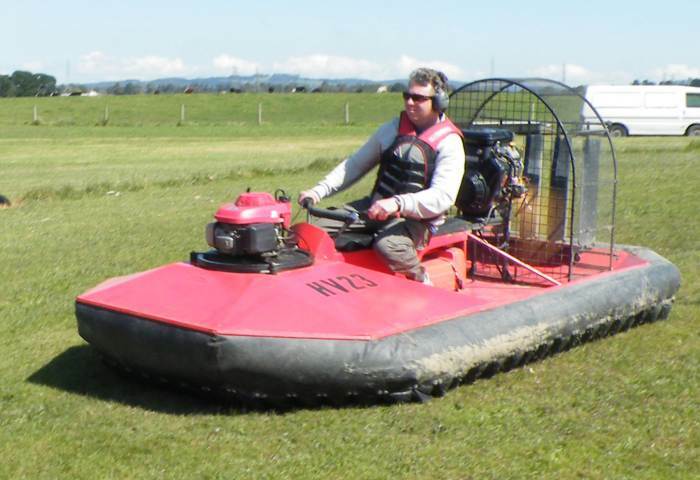 Another perfectly straight line of hovercraft - or is that meant to be a vee formation?